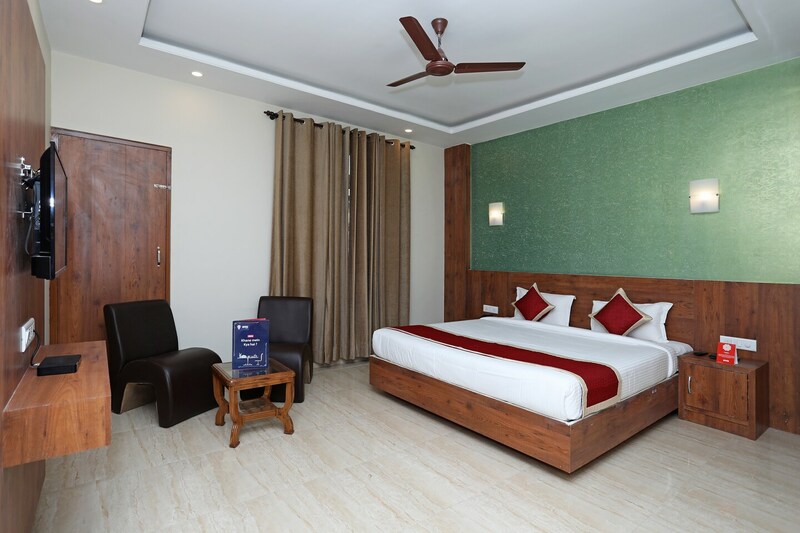 Hotel Triveni Residency is a popular choice among a number of travelers visiting Jaipur due to the cozy rooms it provides within a reasonable price range. The rooms have been decorated elegantly and are well-furnished. The appreciable addition to the room is the set of leather sofas. The rooms have windows which have been covered with long curtains with quirky patterns. The additional facilities provided by the hotel are free Wi-Fi, an uninterrupted power backup supply, card payment in all forms, an elevator facility and CCTV cameras. The front desk service is located close to the entrance and is handled by experienced staff personnel. The front desk is surrounded by a well-furnished reception.